Wednesday, July 13th, 2016, a family tradition was turning into a tragedy. 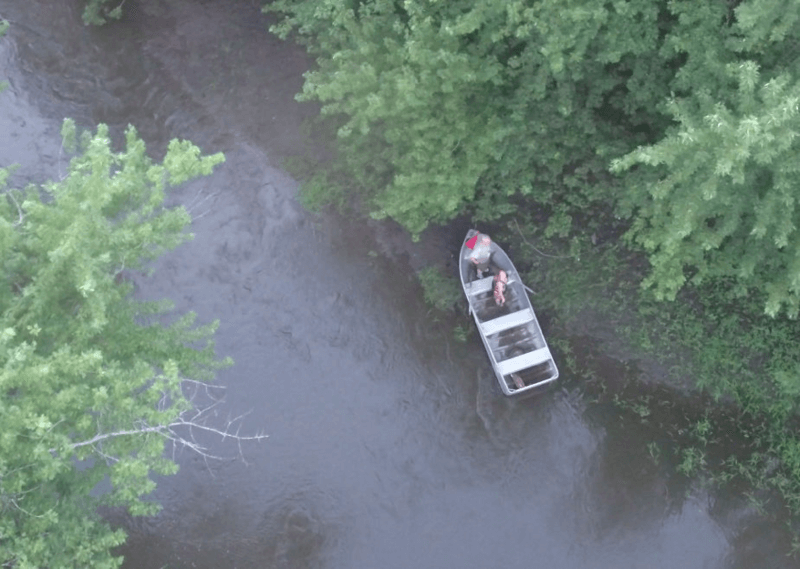 But, after brilliant work by the Kossuth County Emergency Management using their newest tool — a DJI Phantom 4 — it'a given a fairytale ending, tunirng the event into a story receiving national and international attention as a model usage of drone technology by first responders in search and rescue missions. When trying to push the boat over the logs, Fitzpatrick felt a pain in his chest, which was later identified as a heart attack, and became immobilised. He was forced to call the Kossuth County Sheriff’s Office for assistance. Since more than three hours had passed since starting on what would normally have been a breezy, relaxing boating trip, it was past 8PM and there was less than an hour's worth of daylight left. The Fitzpatricks stranded at the river bank. Photo courtesy of the Kossuth County Sheriff's Office. “The Phantom was new to us… We had not used it much due to the current public perception. However, with this event we knew that it would be dark soon and one of the victims was experiencing a cardiac event. Time was of the essence. Responders on the ground could hear the duo yelling so we knew the general direction, however we did not know how far and what terrain we would encounter. With the drone's ability to fly a path between the ground efforts and the victims we could have this key information,” continued Penton. 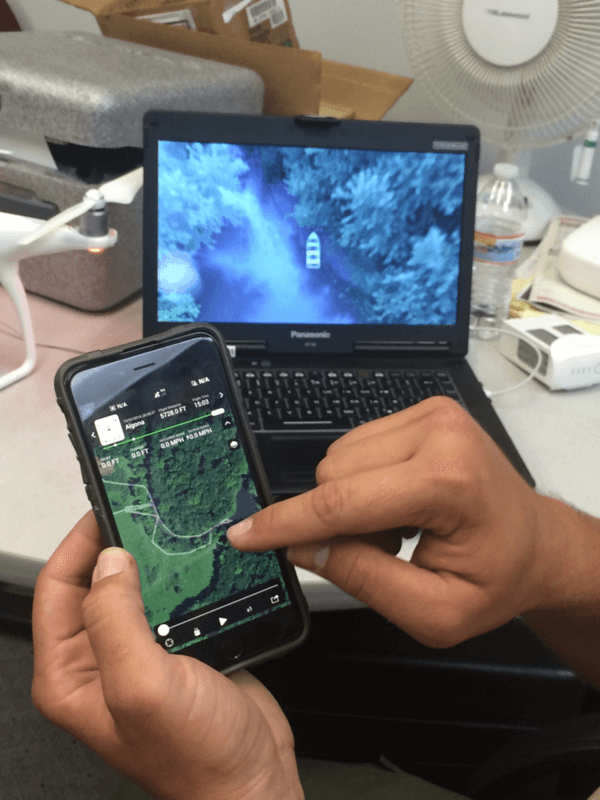 Kossuth County Deputy Josh Missman shows how he could track the path of the drone with his smartphone, enabling him to direct colleagues Radmaker and Penton. Photo courtesy Algona Upper Des Moines. Being directed from the sky, Penton's team were able to quickly reach Fitzpatrick and move him to the helicopter waiting a few hundred meters from his location. By 10 PM, Fitzpatrick had already been transferred from the helicopter for transportation by ambulance for treatment at the nearest hospital. How did Penton's team come up with the novel idea of adapting a drone to their work process? And how did they come to choose a DJI aircraft for their initiative? 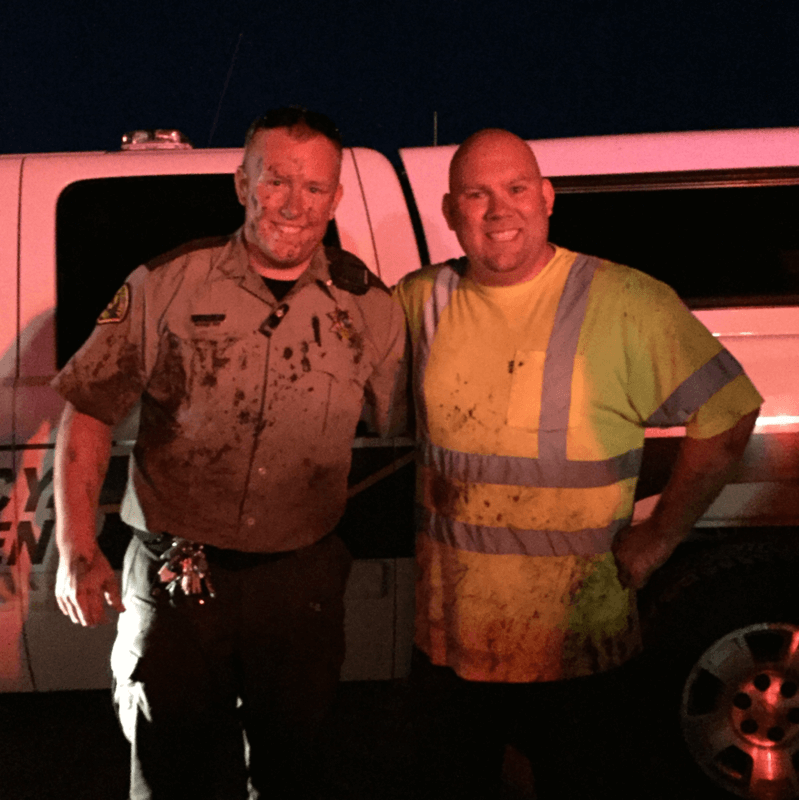 From left: Kossuth County Deputy Jake Radmaker and Kossuth County Emergency Management Director Dave Penton. Photo courtesy Algona Upper Des Moines. The time since this sensational rescue has shown that drones aren't a fad nor a one hit wonder when it comes to rescue operations. Already, the Phantom has been used for a range of important operations.